Is Zen a religion, a philosophy, a movement? How does it fit into our daily lives? Here is firsthand information from a practitioner. MANILA, Philippines – To be happy, all you need is a cushion and a wall. I believe I came up with this statement at a time when I was into Zen meditation around 2009. It was a trying time — personally — and I needed peace in my life. 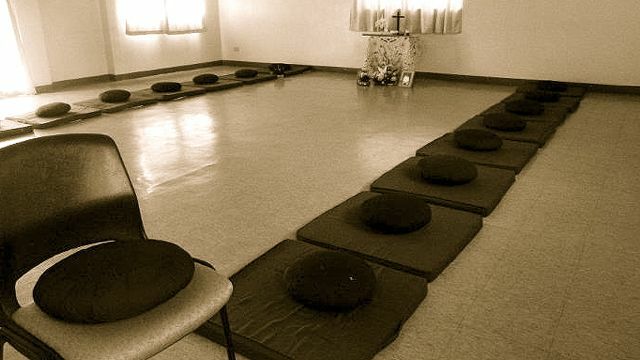 I found a zendo (Zen meditation hall) in Marikina. Or, perhaps, the zendo found me. I met Rollie del Rosario, who was to be my sensei; and I met Ada Javellana Loredo, who became a friend. Ada is a talented painter, a professor in Ateneo and an aikidoka for all of 22 years. I have always marveled at her lightness. I think she has that genuine smile — the kind that lights up a room. For this short feature on RAPPLER, I met Ada at a cafe. On the day of our interview, I gave her a few purple vanda blossoms that, to our delight, matched her shirt. Over cups of Cafe Americano, we talked about how Zen meditation has helped us and some of the people we know. “Internally, there are changes,” Ada explains. “But people probably won’t see it. Is that a conscious effort, I ask her. “It’s effortless,” she clarifies. “I can let go of the annoying things, minor irritations. I don’t worry about those anymore. It would take a lot to hurt me. Sometimes, I also surprise myself!” Ada laughs. As a professor, Ada usually checks essay tests, which is a challenge for many teachers. “I used to take lots of breaks to finish checking a set of test papers,” she confesses. “But one day, I finished all 35 papers in one sitting and I didn’t even notice the time! Before that day, it had never happened to me, ever. 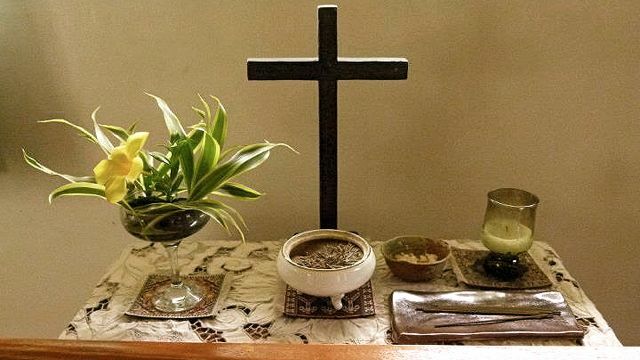 Zen meditation is not a religion. It is not a movement, nor is it a philosophy. Ada says that Zen meditation is a practice: what you do (one’s practice), and what you often do to master something (as in “practice makes perfect”). In Zen meditation, mindfulness is taught. “The goal is to be mindful of every moment of your life,” says Ada. One is supposed to form this habit of mindfulness by sitting in meditation for at least 30 minutes every day (zazen). One helpful technique is to focus on and count your breath from one to 10, and then count back to one again. Do this over and over for 30 minutes and you would have practiced Zen meditation. This is easier said than done, and both Ada and I agree that we’ve rarely, if at all, managed to reach up to 10 breaths without the monkey mind wandering off to God-knows-where. Zen meditation does not stop at taming the mind; it also works on the body. As a practice that originated in Japan, it strictly requires its practitioners to observe proper posture. 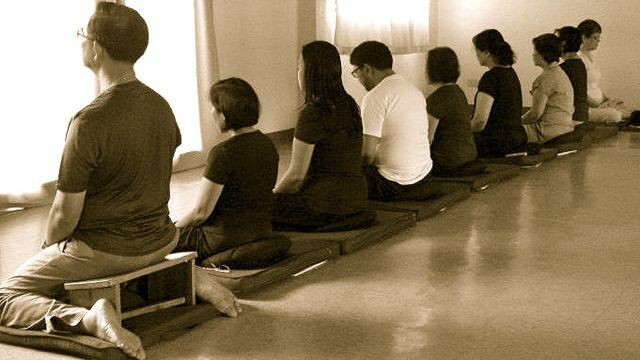 The spine should be straight; the legs folded underneath, or held in a lotus or semi-lotus position; the shoulders thrown back; the gaze straight and softly focused on a blank wall in front; and the hands in a certain mudra (spiritual gesture of the hands). Zen practitioners are encouraged to take up tai chi or yoga to prepare the body for long sits, especially sesshins. 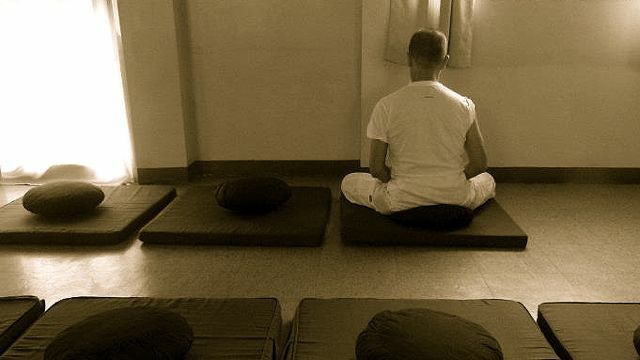 A sesshin is a period of intensive meditation inside a zendo. Ada defines one sesshin day as “excruciating pain for 9 hours, with breaks.” But she continues to go on these retreats anyway, for at least 3 times a year. 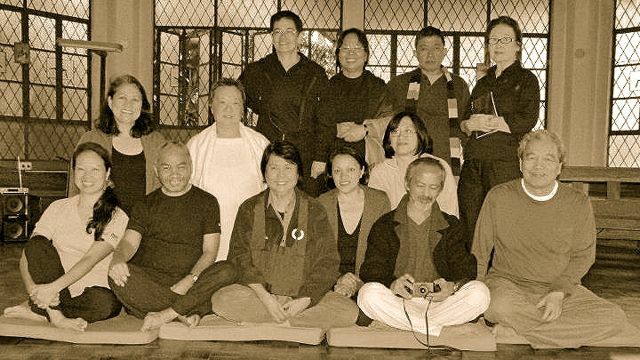 Founded in 1976 by Sr. Elaine MacInnes (OLM) and Yamada Koun Roshi, the Zen Center of Oriental Spirituality in the Philippines (ZCP) — where Ada and I met — belongs to the Sanbo Kyodan (Three Treasures Teaching Group) lineage of Kamakura, Japan.